M4 Machine is a full service CNC shop with a commitment to quality and reliability. We specialize in high-visibility parts for the decorative and product industries. We manufacture orders of all sizes ranging from prototypes or repairs to large production runs. We pride ourselves in short lead times, fast quotes, and excellent customer service. At M4 we hold ourselves to the highest standards of precision, repeatability, and surface finish. Parts don't leave our facility without undergoing a thoroughly documented quality control process. 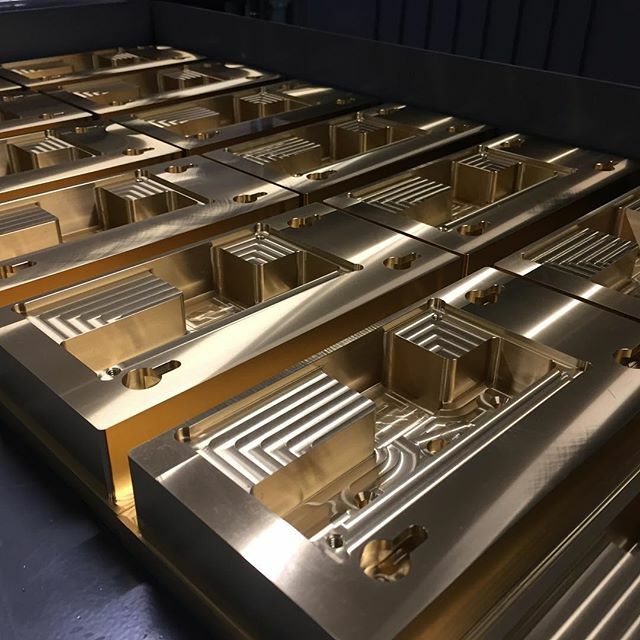 Because the majority of our customers work within the decorative industries, we push ourselves to provide parts with a high level of dimensional accuracy coupled with pristine surface finishes. This high level of surface quality helps customers to add beautiful components to their products and to save time and money when parts need further finish processing. M4 offers personalized engineering services for companies looking to take their creative vision, and turn them into reality. Our years of experience in the lighting and hardware industries, have given us the knowledge and expertise to help designers and manufacturers move from conception to retail ready products. Companies who participate in our engineering service receive certified shop drawings and blue prints for all engineered parts, which then allows the customer to shop around for the best price per part when entering production.